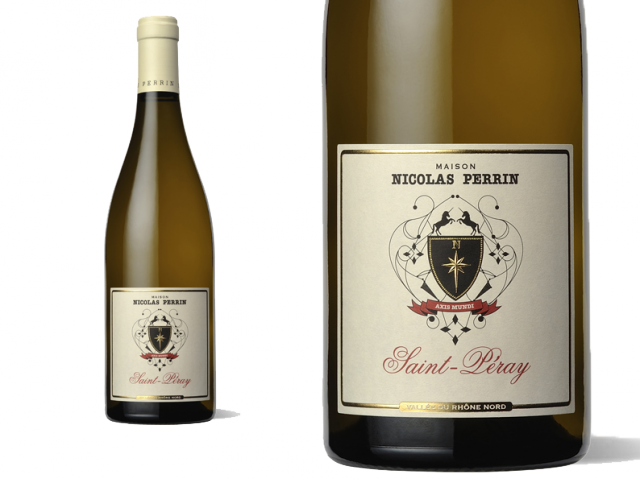 Saint-Péray, a Vineyard with character, forged its name along with a stormy history. In the 15th century, Saint-Péray acquires its identity as the villagers leave the Château de Crussol and settle down in the valley of Mialan. Their village formally called Saint-Pierre-d’Ay becomes “Saint-Péray” under the influence of the local dialect. The growing popularity of this white wine grants it its place on the French kings table. In the 19th century, Saint Péray reaches its peak of its popularity. All of Europe is fund of this white. In December 1936, it becomes one of the 9 first Appellations d’Origine Contrôlée. The most southern appellation of the northern Côtes du Rhône is situated on a soil of limestone, clay and granite deposits. The essential part of the vineyard spreads out on light slopes, around a beneficial limestone spur, of the Crussol hill. The winter in 2014 is characterised by mild temperatures for the region and heavy rainfall until mid-March. The heat and water reserves allowed an early start to the vegetation. Spring was dry until late June, with signs of hydric stress in some sectors. However flowering and fruit set were optimal, guaranteeing a great crop. The months of July and August, particularly cool and wet, slowed the cycle of the vine, forcing the winemakers to strengthen surveillance of the vineyard. Early September starts off with two lovely sunny weeks, along with an optimal maturity of the grapes. Traditional vinification in temperature-controlled stainless steel vats. Ageing on fine lees for eight months. Nice colour with bright reflections. Very expressive nose with mineral notes, fresh, citrus and crunchy fruit. 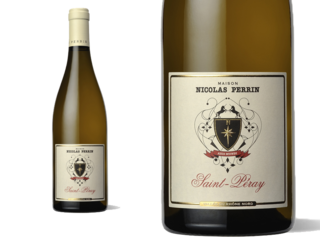 The mouth in this 2014 vintage gives the full dimension of the terroir of St Péray, a balance between the freshness from the limestone and the minerality from the granite. Very elegant, the finish is aromatic with floral and saline notes. To be tasted in its youth.